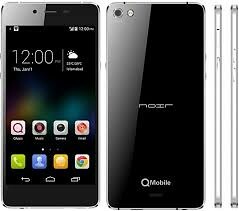 Qmobile has launched a latest mobile after Qmobile Noir Z9 with new spec and features. Qmobile Z9 Plus thickness is very Imppresive 7.2mm. Screen of Qmobile Z9 Plus is made up of Amrold glass so you can play high resolution games. Processor of Qmobile Z9 Plus is with octa-core Processor, RAM of Qmobile Z9 Plus is with 2GB RAM. Front camera is 5.0 Megapixel which is good for video calling and back camera is 13Megapixel with flash. Qmobile Noir Z9 plus comes with Android lollipop so users can enjoy best Apps and softwares. Battery of QMobile Z9 Plus is 3150 mah with fast charge feature. How to Flash Qmobile Z9 Plus? Download and install Qmobile Z9 Plus USB Drivers. Then Download and install QFil Flasher. Now in Load XML specify raw_program_unparse and patch file. Now click select port and power off your mobile. Volume + and Volume – and then connect usb cable. Selected port will show like relink HS-USB QD Loader 9008. Now Press Download Button. After Flash Mobile Phone will be restart.